The old saying goes that “shoes complete the outfit” and Blackstock & Weber is here to help you complete it every time. The affordable and handcrafted ecommerce brand provides direct-to-consumer footwear in a multiplicity of styles suitable for every occasion. Pairing NYC designers with a historic English shoe factory, the company offers unique craftsmanship with prices that will not break the bank. So whether you are looking for a new pair of shoes – casual, formal or bootwear, Blackstock & Weber has you covered. 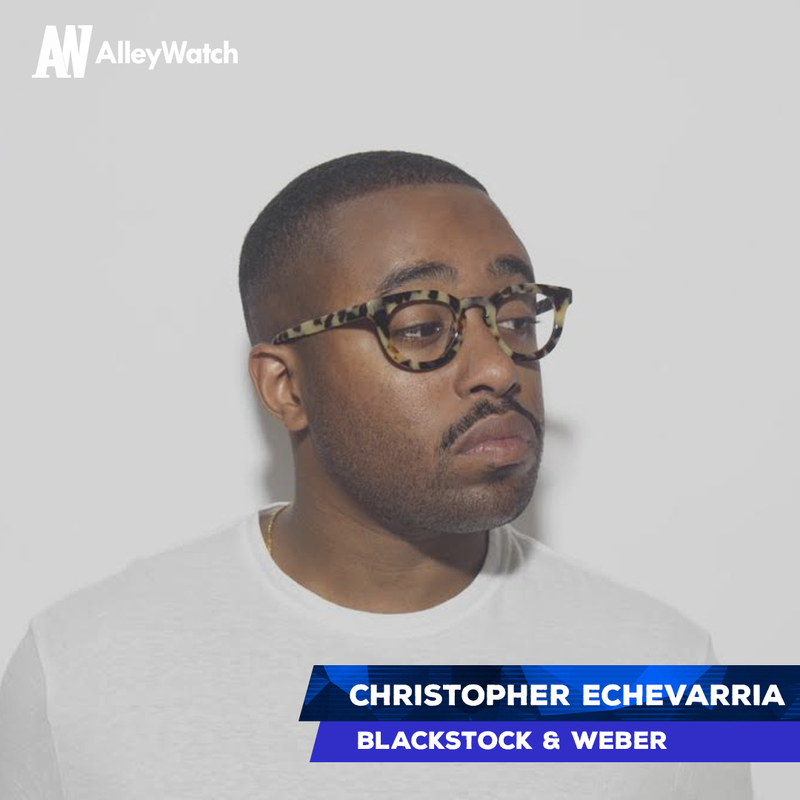 AlleyWatch chatted with the Christopher Echevarria about the newly launchd company and how they plan to make a dent in the footwear industry. We’re a direct-to-consumer footwear brand that focuses on Men’s premium dress shoes. We handcraft beautiful shoes in England in the town of Northamptonshire, the home of some of the top footwear manufacturers on the planet. Priced at $295 or less collection wide, we’re offering an unprecedented value by going straight to the consumer and giving that value back to our customers. Simple, we’re the first to ever bring English shoes to the market at this price. Typically, English made shoes can retail for anywhere from $800-$1500, respectively. Our shoes are made in the same exact factories as those that you would pay through the nose for at your favorite high-end boutique or department store. I’m not going to say any names, they wouldn’t be happy with me. 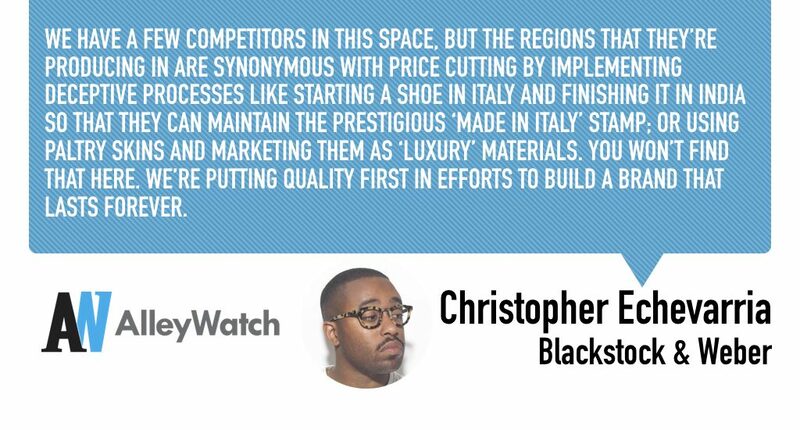 We have a few competitors in this space, but the regions that they’re producing in are synonymous with price cutting by implementing deceptive processes like starting a shoe in Italy and finishing it in India so that they can maintain the prestigious ‘Made in Italy’ stamp; or using paltry skins and marketing them as ‘luxury’ materials. You won’t find that here. We’re putting quality first in efforts to build a brand that lasts forever. 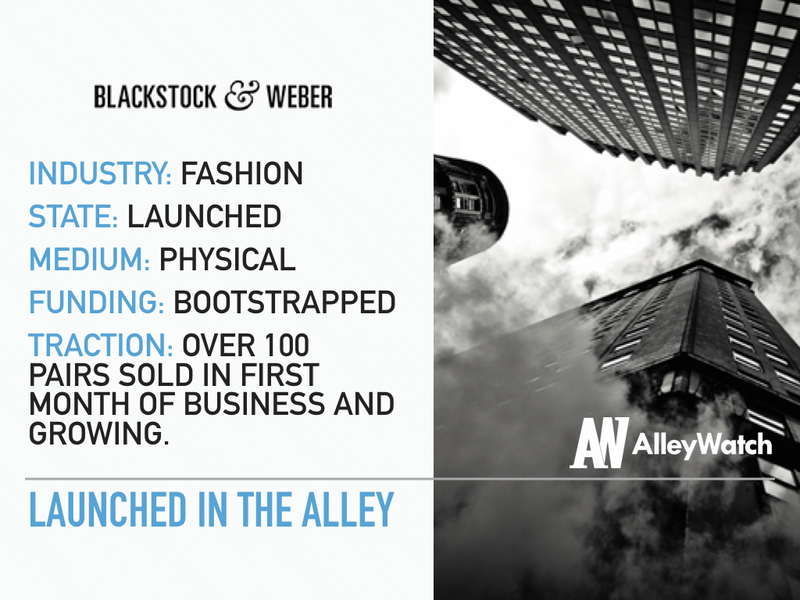 We’re attacking the international men’s shoe market, which is worth about $6B. We’re direct-to-consumer so you won’t find our products in department stores or on any other website. We want the consumer to interact with our brand ethos directly with us and not by proxy. I’m a menswear guy through and through. 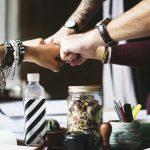 I’ve worked for several companies over the course of my career in several different capacities. I’ve worked as a trend forecaster, a merchandiser, a designer, a sales director and a creative director so I know the business pretty well and can manage any fashion project from inception to completion. The thing that I enjoyed the most was working with footwear. I’ve always loved footwear! Whether it be sneakers, wingtips or boots I’ve always kept a collection of the most stylish shoes. Ever since high school I was enamored by the level of care and pride English factories take in manufacturing quality product. I’ve followed these artisans with an extreme level of respect before I could even afford to own them. It was only right that my first venture was one of my first loves. What makes you believe there is a sufficient market for a new entrant offering a premium product at $295/shoe in this current economic environment? I think that the current economic environment is perfect for our brand. Everyone wants to be cool, get something of value and be stylish. We’re giving the best value in the market whilst offering style advice and a cool factor via our branding. Everyone is so used to someone trying to sell them something in this climate that when something special comes along it’s a no-brainer. I like to think we’re one of those ‘special’ brands. We’re on pace to sell 1000 pairs of shoes in the next six months. It’s a very lofty goal for a startup of my size, but for the amount of traction that we’ve had and the plan we have in place we’re doing the work to get it done. I’ve gotten a lot of advice before I dove into this so I can’t say that there’s anything that anyone hasn’t told me or I wish I was told. I grew up in an entrepreneurial household surrounded by several books from Tim Ferris, Tony Robbins, etc. that I just had to pick up and read. My biggest influence, my father, is also one of the places I’ve mined a lot of advice from. The one thing that I will tell anyone considering founding a startup is that there is always something to do. If you tackle one challenge there is one right around the corner. However, the best things about those challenges and/or hurdles are that each one conquered is more rewarding than the previous. I’d like to meet more startup founders and creatives to just have meaningful conversations that drive everyone forward. I’d like everyone to leave a conversation with me with something more than they had. No one in particular, just dope people and good vibes. There’s no better place to launch. This is where I grew to where I am in the industry. There’s no cheating here. It’s all grind. You have to work hard to be fostered by a city that can chew you up and spit you out. Bubby’s in TriBeCa… They’re a staple for breakfast, lunch and dinner.